Pastoral ministry for an Ursuline sister is about being alongside people in a variety of situations. It is accepting them and supporting them as together we discover God’s love for each of us in our lives. To be pastoral is to care, to nurture and to guide imitating Christ, the Good Shepherd. Our pastoral ministry takes us into a variety of settings in both formal and informal ways. 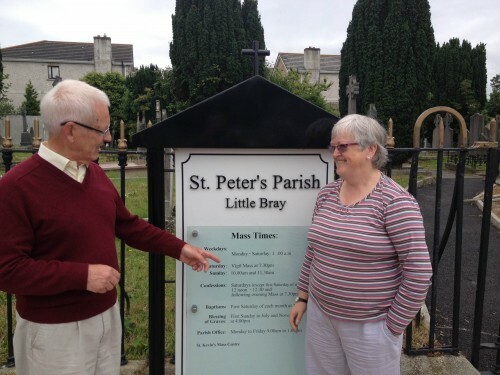 Today Ursuline sisters in Pastoral Ministry work in parishes as Parish Sisters where sisters engage with families on their life journey from Baptism preparation to the ministry of consolation to the bereaved; in a diocese as Coordinator of Pastoral Development – training parishioners to undertake a fuller role in the life of their parish communities; as Chaplain in one of the prisons in Ireland; in spiritual direction and retreat ministry; in counselling; offering weeks of guided prayer in parishes; and with the Saint Vincent de Paul society offering assistance to those in need. Each and everyday sisters give of their time and energy to all whom they meet whether it is to stop for a cuppa and a chat; to visit a classroom or meet with a parish group; to offer encouragement to those who are searching for meaning in life; to pause to pray with another; or simply to say hello to someone on the street. Alongside this sisters offer support and encouragement to their fellow pastoral ministers and experience this as a two way process of building pastoral teams within their ministry location.